The Morningview Amish Mennonite congregation originally was part of the Old Order Amish. Members assembled for worship in homes every second Sunday. In 1945 there was a division within the Wellesley and Mornington Amish congregation over matters of doctrine and a new group formed as the Henry Albrecht District. The ministry of the group consisted of Bishop Henry Albrecht, Minister Joseph Kuepfer and Minister Daniel Steckly. There were fifty-six members in the original group. Family names included Albrecht, Carter, Ebersol, Jantzi, Kuepfer, Roth, Schmidt, Steckly, Streicher, and Wagler. At that time the group continued to assemble for worship services every second Sunday in homes. In December 1945 the congregation ordained Samuel Steckly as minister and Menno Kuepfer as deacon through the lot. Congregational leaders are still chosen in that manner. Since Henry Albrecht was aging and in failing health, Samuel Steckly was ordained bishop in May 1947. The congregation was then known as the Steckly District. Steckly conducted the group's first baptisms in August 1947 -- four boys and two girls. Aaron Kuepfer was ordained as a minister In April 1953, and William Carter as ordained minister in May 1959. Carter was ordained as bishop in October 1964 when Samuel Steckly's health began to fail. At this time the group became known as the Carter District. In April 1968 Kenneth Kuepfer was also ordained Minister; he was later ordained bishop in June 1997. During the late 1950s and early 1960s the congregation agreed to accommodate use of power machinery, electricity, cars, trucks and telephones, believing these were economically necessary in their farms and business places. In the early 1970s Bible Study began every second Sunday night in homes. These were led by the ministers who met with the young people and their families. In 1979 the ladies of the congregation began a monthly sewing circle. They met in the homes to quilt and knot comforters for Mennonite Central Committee and the New Hamburg Relief Sale. By 2003 the congregation helped to bale clothes for Christian Aid Ministries, and the sewing circle made comforters for Christian Aid Ministries to send to needy countries. In April 1984 Ivan Streicher was ordained as minister and Le Roy Carter was ordained deacon. By this time the membership had grown and it became too crowded to hold services in homes. 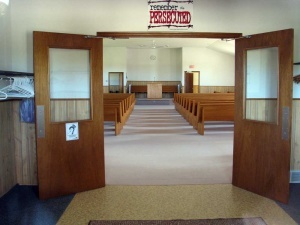 The congregation agreed to build a church building. After much planning, the first service in the new building was held 13 September 1987. At this time the congregation took the name Morningview Amish Mennonite Church. Services began to be held every Sunday morning, with Bible Study two Sunday nights in a month and one Sunday night of congregational singing. This pattern has continued through 2003. Worship services were held in German until the early 1990s when the transition was made to English. Similarly the congregation changed from the German Ausbund to the English Christian Hymnary. Over the years Morningview Amish Mennonite has associated with neighboring congregations and also with some congregations in the United States. Morningview's desire is to reach out to those who are in need of help, whether physical or spiritual, far away or near, and thus to be a light to the world and salt to the earth as Jesus has commanded. In 2014 the congregation had 74 members and it was an unaffiliated Amish Mennonite congregation. The ministerial team included Bishop Kenneth Kuepfer, Ministers Murray Kuepfer, Wayne Kuepfer, and Ivan Striecher, and Deacons Leroy Carter and Gary Kuepfer. Anabaptist (Mennonite) Directory 2011. Harrisonburg, VA: The Sword and Trumpet, 2011: 33. Mennonite Church Directory 2014. Harrisonburg, VA: Christian Light Publications, Inc., 2014: 129. Samuel Steckly (Minister & Bishop) 1945-? Carter, Le Roy. "Morningview Amish Mennonite Church (Newton, Ontario, Canada)." Global Anabaptist Mennonite Encyclopedia Online. September 2003. Web. 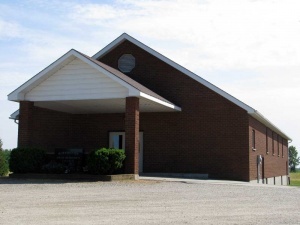 25 Apr 2019. http://gameo.org/index.php?title=Morningview_Amish_Mennonite_Church_(Newton,_Ontario,_Canada)&oldid=140263. Carter, Le Roy. (September 2003). Morningview Amish Mennonite Church (Newton, Ontario, Canada). Global Anabaptist Mennonite Encyclopedia Online. Retrieved 25 April 2019, from http://gameo.org/index.php?title=Morningview_Amish_Mennonite_Church_(Newton,_Ontario,_Canada)&oldid=140263. This page was last modified on 8 November 2016, at 22:46.